Fall is officially here and the leaves are changing color fast! 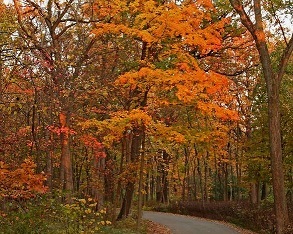 There are few better places in DuPage County than the Morton Arboretum to view the vibrant reds, yellows, and oranges of Autumn. The fall celebration is going on now at the Arboretum, located in Lisle, just north of Warrenville Road on Route 53.